Discover Galapagos offers unmatched Galapagos Cruises and Galapagos tours available to anyone willing to take the trip of their lifetime. Welcome to your gateway to the majestic and enchanted Islands of the Galapagos! We have gone above and beyond in hand picking the best Galapagos travel options for you. We are consistently complimented by our clients that are amazed by the amenities as well as the memories that they have made after discovering the Galapagos. Whether you are on a Galapagos cruise on one of our many luxurious boats or going on an inland Galapagos tour, you are in for a thrill unlike any other. The sights and sounds of the islands are unlike anywhere else on the planet, and now, you have access to the best Galapagos travel packages available. Are you going to be next in line to take a Galapagos trip that you will never forget? Join the thousands who have already made a lifetime full of memories on our Galapagos boats and tours. With so many Galapagos travel options, choose the one who gives you the options on how you want to Discover Galapagos. "I've worked as a licensed Galapagos naturalist guide, as a tour leader for natural and human history tours to Ecuador and the Galapagos Islands and as a travel consultant and Galapagos specialist. I have over 30 years experience in the Galapagos Islands and I'm here to assist our team of travel professionals with your special travel plans to Darwin's Enchanted Islands. Contact us today to learn more about our travel packages and Discover Galapagos with us." - Jeff Waugh, CEO & Director of Operations, Inti Travel and Tours, Inc.
We're here to help you plan a great trip! "It appears to me that nothing can be more improving to a young naturalist than a journey in distant countries..."
"The tortoise is very fond of water, drinking large quantities, and wallowing in the mud. The larger islands alone possess springs, and these are always situated towards the central parts, and at a considerable height. The tortoises, therefore, which frequent the lower districts, when thirsty, are obliged to travel from a long distance. Hence broad and well-beaten paths branch off in every direction from the wells down to the sea-coast; and the Spaniards by following them up, first discovered the watering-places." The Galapagos Giant Tortoise may be seen at the Charles Darwin Research Station in Puerto Ayora and at El Chato in the highlands of Santa Cruz, at the Tortoise Reserve on San Cristobal Island and at Sierra Negra Volcano on southern Isabela Island. 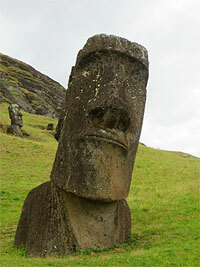 Most Galapagos cruises and tours include one of these visitor sites. Check out our Galapagos Guided Tour to get an idea of what other amazing wildlife you will be able to see and photograph on our Galapagos cruises and tours. 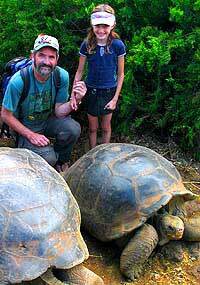 We have over 30 years experience living and working in the Galapagos Islands. We work with only the most reputable yachts and ships that provide a total quality experience (including the best and most reputable naturalist guides) at great value. We offer the lowest rates possible for many of the best yachts and ships for 4, 5 & 8 day (and longer) Galapagos tours and cruises. Let us help you plan your once-in-a-lifetime Galapagos experience. All of the yachts and ships we offer are also available for charter cruises. Yacht charters are a great way for families and groups to enjoy their Galapagos cruise adventure! 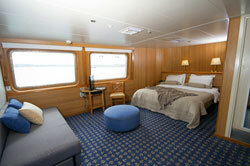 We also offer some of the best hotels in Galapagos and hotel / yacht combinations with cruises during the day. We offer a variety of opportunities for SCUBA diving in the Galapagos Islands. Underwater Galapagos can be as exciting and interesting as Galapagos ashore. The combination of ocean fishes, birds, mammals and reptiles sets Galapagos apart from other marine environments. You may wish to charter the whole motor or sailing yacht solely for your group or family vacation. Charter cruises are generally a little less per person and provide more customized service. Yacht charters are a great way to more intimately experience the wonders of the Galapagos Islands. All of the ships and yachts we offer are available for fully crewed charter cruises. Please ask. 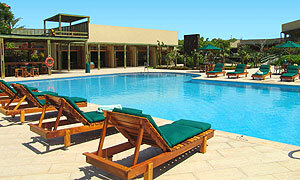 Santa Cruz Island in the Galapagos offers a variety of good-quality hotels for your special vacation holiday. From these Galapagos hotels enjoy short excursions to experience the Charles Darwin Research Station, giant tortoises, fine beaches, horseback riding, hiking, bird watching, kayaking, snorkeling, and SCUBA diving. On San Cristobal you can visit the Interpretation Center, experience beautiful beaches, horseback ride, snorkel, SCUBA dive or go surfing. The only fresh water lake in Galapagos is located in the highlands of San Cristobal Island. 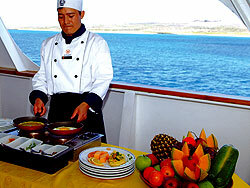 Some of these hotels offer cruise and tour packages for 3, 4 or 7 nights in the fabulous Galapagos Islands. 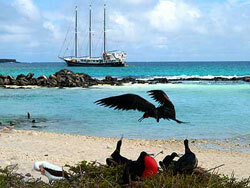 With any Galapagos hotel, we would be able to arrange a cruise package and your Galapagos flight. We also offer a variety of hotels and tours in Quito, Guayaquil, Cuenca and elsewhere in Ecuador and in Lima, Cusco, Machu Picchu, Puno (Lake Titicaca) and Arequipa, Peru. 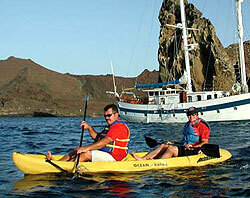 For a list of the ships and yachts we offer in the Galapagos Islands please refer to Galapagos Cruises & Tours. 8. Check for any specials! Our FAQ will help answer some basic questions you may have about traveling to the Galapagos Islands. Have a look at the map of the islands to see where your itinerary will take you. Short descriptions of some of the most popular visitor sites with examples of what you would expect to encounter on your visit. Photos and excerpts from the Galapagos Guided Tour. Consult our extensive checklist of what to bring with you to the Galapagos Islands. Trip cancellation, travel and medical insurance is available from Inti Travel and Tours and should be purchased at the time of the first deposit. We strongly recommend considering this to protect you in the event of any unforeseen situations. We proudly offer “Travel Guard” protection. Our online tour features professional quality photographs and stories from the experiences of our real-life Galapagos Naturalist Guide. Learn more in-depth information about the visitor sites, wildlife, natural and human history and conservation issues of the Galapagos Islands. Our guide will also answer any questions you may have before you leave home. The Family Notebook provides information on our special discounts and recommended boats and accommodation to help you plan a safe and affordable family adventure. Discover Galapagos® with Inti Travel and Tours! We offer special rates for a variety of hotels in Quito, Guayaquil, Cuenca, Lima, Cusco and La Paz. 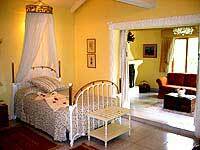 We also offer secluded haciendas, resorts and jungle lodges. Experience other natural treasures of Ecuador. Enjoy hospitable haciendas and hot springs, friendly and ancient Ecuadorian culture with exquisite cuisine and world famous Andean music. Combine any of our quality tours with your Galapagos cruise. Combine your Galapagos and Ecuador tour with a visit to Cusco, Machu Pichu and the Sacred Valley of the Incas. Our Peruvian associates offer a wide selection of soft and hard adventure tours throughout "mysterious" Peru. Discover the "undiscovered country" of Bolivia. Extend your Galapagos adventure to learn about the mysterious lost civilizations of Lake Titicaca and the World Heritage Site of Sucre. The Photo Journal is a selection of superb photographs from the private collection of Jeff Waugh. Jeff has traveled, studied, lived and worked in South America since 1975. "Myth and reality merge in a unique landscape in which both nature and the energy of a culture like no other give life to the most remote inhabited island in the world. Dive into the history of a unique Polynesian culture full of traditions and ancestral customs." Read the many positive comments we have received from our clients over the years. Inti Travel and Tours, Inc.
is proud to present "Discover Galapagos"®. It is my hope that this virtual tour of the Galapagos Islands will inspire you to act on behalf of our children's children to help protect the worlds great natural treasures for the benefit of future generations. I also offer you the opportunity to journey to the Galapagos to experience these wonders first hand aboard our select fleet of yachts. Welcome aboard for your tour of Darwin's Enchanted Islands! of Inti Travel and Tours, Inc.
We offer custom designed incentive and special group tours for a wide-range of businesses, organizations and school groups. Discover Galapagos® is a registered trademark of Inti Travel and Tours, Inc.